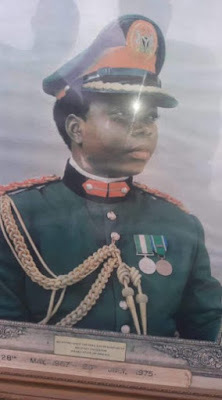 Kwara Gubernatorial Aspirant, Alhaji Yakubu Gobir, has expressed his sadness over the loss of the first Military Governor of Kwara State, Brigadier General David Femi Bamigboye. Yakubu Gobir, in his message of condolence to the family of the late Military Administrator and the people of Kwara South, stated, "Late Brigadier General David Bamigboye's death is a great loss to the entire people of Kwara State and Nigeria at large, because he is a man whose impact towards the development of Kwara State cannot be undermined. Gobir said, "Bamigboye is the direct definition of the word unconditional. He has given us all a lesson in how to be humble and compassionate. He is a good father to our State and without him, Kwara will never be the same. "He built a home for all Kwarans and he loved all human beings of all colours, religions, cultures, educational background." He said. Gobir prayed God should grant the deceased soul an eternal rest and the family he left behind the heart to bear the loss. Late General Bamigboye is from Omu-Aran in Irepodun Local Government Area of Kwara State. During his reign as a military Governor of the State between 28 May, 1967 to July, 1975, he is said to have established Kwara State Polytechnic (formerly College of Technology), among others.